Sun Direct is one amongst the two DTH operators in the industry to launch full-fledged long-duration packs. In the past, we have reported that Sun Direct has started offering its DPO packs in regional languages for up to six months. However, it has changed now as the DTH operator has introduced 12-month subscription on all the DPO packs available right now. 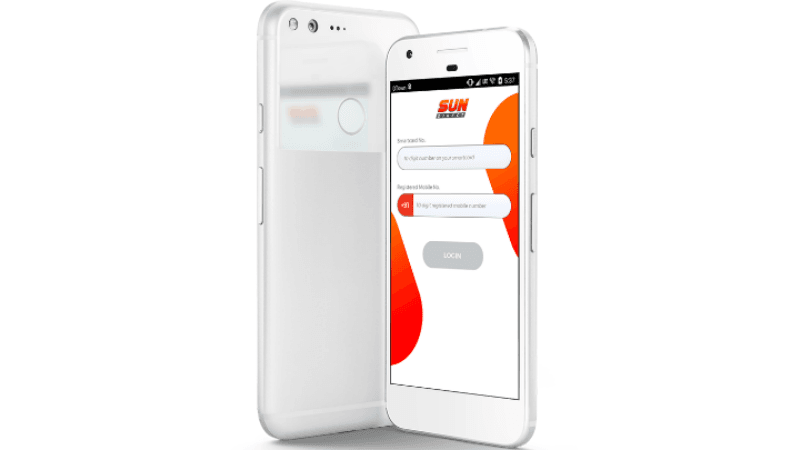 Earlier, Sun Direct allowed users to choose DPO packs in one, three and six-month options, but now, they can choose the same for 12 months or a year. For the unaware, Cable TV and DTH operators removed long duration packs back in February as part of the new pricing scheme introduced by the Telecom Regulatory Authority of India (Trai). Users who are already on a long duration pack before the new tariff scheme, operators promised the amount would be credited to their respective DTH account so that they can use the amount to clear the monthly bills going forward. We have already reported Sun Direct’s DPO packs in regional languages along with their validity. Up until now, Sun Direct allowed users to choose DPO packs up to six months, but with the latest update, they are choosable up to 12 months or one year. 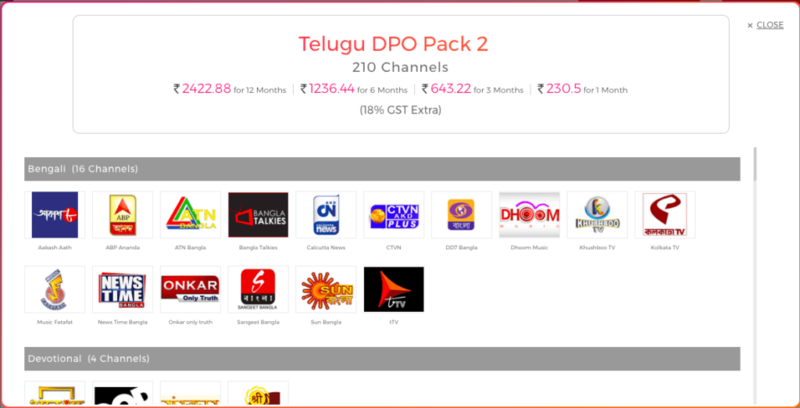 As you can see in the image below, the Sun Direct Telugu DPO Pack 2 can be purchased for 12 months at Rs 2,422.88 (18% taxes extra); The same pack, if chosen for six, three and one-month costs Rs 1,236.44, Rs 643.22 and Rs 230.5 respectively. Notably, Sun Direct is providing quite a lot of discount with a 12-month subscription. For example, the same Telugu DPO 2 pack, if chosen individually costs Rs 2,766 for 12 months, but with the long-duration subscription up front, it can be availed for nearly Rs 350 discount, which is a decent one considering the current scenario. If you’re a Sun Direct subscriber, then these DPO packs should be your de-facto options as they offer a lot of value than individual and broadcaster channel packs. Thankfully, Sun Direct is providing DPO packs in all the regional languages such as Tamil, Telugu, Kannada, Bengali, Malayalam, ODIA and so on. Sadly, Sun Direct is not offering the HD DPO packs in 12-month subscription for unknown reasons. These DPO packs fall under Sun Direct Curated packs and they can be activated via the company’s mobile app or website. Aforesaid, Sun Direct was the first DTH operator to introduce long duration plans under the new tariff regime introduced by Trai earlier this year. The new pricing scheme, which will become fully effective from April 1, will bring several changes to the Indian Television section; One of the key changes is the pricing. DTH operators removed the long duration plans after the introduction of new channel prices. But with things settling down in the industry slowly, they’re bringing back the long-term packs based on the new pricing of channels set by the broadcasters. Airtel Digital TV also launched a slew of yearly channel packs without NCF charges very recently. Once the channel pack selection deadline of March 31 completes, we might see other service providers such as Tata Sky, Dish TV and D2h coming up with long-term channel packs like Sun Direct and Airtel Digital TV.